Aachan and Master teacher of Thai Yoga/ Thai Massage and Director of education for The SomaVeda College of Natural Medicine: SCNM School of Ayurveda and The Thai Yoga Center. I am honored to be Chairman The Native American Indigenous Church Indigenous, Traditional Religious Tribal Organization. I support spiritually based medicine and healing arts Mother Earth based Natural Medicine. The Native American Indigenous Church (NAIC) is located in Brooksville, Florida and is Director of Clinical Services, Missionary Clinic and wellness center. The Native American Indigenous Church is an integrated Auxiliary of the Priory of Saving Grace under the Sacred Medical Order of the Church of Hope (SMOCH) a diocese of the Eastern Apostolic Catholic Church of the America's Chaldean- Syrian Rite of Brazil. Anthony B. James wrote and published the first book in published in the US on Thai Massage titled "Nuat Thai, Traditional Thai Medical Massage" in 1983. Anthony James has been teaching and presenting internationally on Thai Yoga and Thai Massage full time since 1984. Anthony James has graduated over 20,000 students through his SomaVeda® Thai Yoga, Thai Massage, Ayurveda and Natural medicine programs. His most recent book is "Ayurveda of Thailand: Indigenous Traditional Thai Medicine and Yoga Therapy" This Ayurveda textbook is the 2017 eLit Silver Medal Winner and the AAPNA :Veda Vyasa" Award for best Ayurveda Textbook 2017. Anthony B. James was formally awarded the "Friend of Thailand" award for promotion of Traditional Thai Medicine and culture in 2002. Anthony James is one of the first recognized Thai Aachan of Thai Traditional Medicine and he is recognized as a Doctor and Lifetime Member of the Thai UTTS (Union of Thai Traditional medicine Society). Anthony James is an Ordained Minister and Doctor of Pastoral Medicine and Counseling (SomaVeda®/ Native American/ Medicine of Hope™). Anthony B. James supports a Multiple disciplinary approach to health and healing having trained in Thailand, Burma, India, China, Filipines, Ecuador and in many different programs in the US. Anthony B. James has an extensive Martial Arts background from age eleven: including multiple Black Belts in American Karate, Tang Soo Do Mu Duk Kwan and Gobudo Aki Jiu-jitsu. Aachan and Khruu (Gold Sash/ USMTA) Buddhai Sawan Kabri-kabrong & Muay Boran/ Muay Thai (Mesamarn), Expert teaching credentials in Filipino Kali (Inosanto, Canete, etc. ), Escrima, Pikiti Tersia (Tuhon Gaje), Lastra Maharlika and Pencak Silat (Suyadi Jafri). Additional training Lee June Fan Jeet Kune Do (Inosanto, Hartzell, Tamez), Wing Chun (Sifu Fong), Chi-gung (Zhang Yuan Ming Style), etc. Anthony B. James is currently honored to represent The Sacred Medical Order Of The Knights of Hope (SMOKH)and the Sacred Medical Order of the Church of Hope as a Diplomat and Cultural/ Medical Missions Diplomat and Attache. Aims and Objectives of the Order: Healing is what happens when Pastoral Practitioners minister, enabling people to receive restoration to health of body and mind through God's great love and mercy. This restoration of health is part of what is meant by the abundant life which the Lord promised. I. To dissiminate the healing principles of the pastoral mission and function as a Church, being a religious society to receive, preserve, and propagate His doctrines and ordinances. II. To sanction, direct, and govern our pastoral practitioners. III. To establish, equip, staff and maintain humanitarian relief and medical treatment centers and hospitals. IV. To promote and participate in all phases of education of practitioners, physicians, therapists, nursing staff, paramedical and nutritional care personnel. V. To raise relief funds for all these humanitarian, organizational, and medical needs. VI. To promote peace and prosperity, by diplomacy, cooperation and consensus. VII. To cooperate with IGO's (Intergovernmental Organizations), NGO's (Non-governmental Organizations), and Governmental Organizations for purposes humanitarian and medical needs. As a Vocational Justicar for SMOCH: Chirothesia. Anthony B. James administers the Vocational Lincensure for Chirothesia and Hands on Energy and Spiritually based Healing Counselors Practitioners applying for formal ordination as Therapeutae and Licensed Practitioners under ecclesiastical authority of SMOCH. My responsibilities include Licensing applications for Ayurveda, SomaVeda Integrated Traditional Therapies®: Indigenous Thai Yoga, Yoga Therapy and related spiritual, nature cure and energy related healing sciences for the well fare of mind body and spirit. You must first protect the practitioners right to offer a safer choice! Currently Anthony James is an Instructor and Director in Charge for the Doctor of Oriental Medicine Diploma Program at The Pan American School of Natural Medicine in Nevis, West Indies. PanAmerican offers internationally recognized Degrees and programs in Natural and Oriental Medicine Clinical Sciences. Pleased to be working with world class educators such as Dr. Charles McWilliams, Dr. Eric Carter, Dr. Carlos Oswaldo Jaramillio and Dr. Jacob Brainis (DO). Anthony B. James specializes in: Anti-Aging, Natural Clerical Medicine, Naturopathy, Thai Yoga Therapy, Massage, Bodywork, Spiritual, Mental and Health Counseling: Specializing in Cancer, Diabetes, Heart Disease, Soft Tissue Pain Disorders, Migraines and Headaches as well as Mental and Emotional Health Issues. SomaVeda™ Integrated Traditional Therapies: Holistic, Natural, Clerical Clinical: Dr. Anthony James and Licensed, Board Certified, Doctor of Natural Medicine and Naturopathic Physician, practices the highest standards of Pastoral, Clinical Holistic Medicine and Psychological, Emotional Counseling. Dr. James uses both modern clinical biological assessments and test to determine metabolic, organic and endocrine imbalance as well as the entire repertoire of Asian/ Oriental Medical assessments from Ayurveda and Traditional Chinese Medicine. As a Naturopath he also has access to the entire tool chest of Natural Medicines using plants, herbs, nutrients, light, sound and pressure. As a Board Certified, Licensed, Pastoral Clinical Therapists he brings the entire scope of practice of biblically based natural and spiritual medicine. Anthony B. James, Master Thai Yoga Instructor (SomaVeda® Style), Medical Director, Director of Education at SomaVeda Institute for Natural Healing and the Thai Yoga Center. TYC has programs from 18 hours to over 5000 hours based on Ayurveda, Thai Yoga Therapy (Traditional Thai Massage), Indigenous Traditional, Native and Natural Medicine, Naturopathic principles. TYC programs are NAIC, NCBTMB, FSBMT, Canadian Health Board (NHPC), AAPNA, NAMA accredited and or recognized for both primary education for health providers and for CE hours for continuing education. If you do not have course work in alternative medicine, natural and oriental healing modalities we can assist you in getting the diploma and licensing you need to practice. For those with current medical licensing who wish to add viable holistic and alternative natural treatment to your practice we can assist you both in obtaining the course work and certification necessary as well as offer a licensing category that will extend and protect your extended scope of practice. Programs year round. 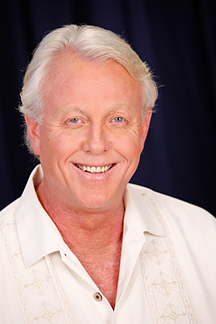 Anthony B. James former founder of ITTA Inc (International Thai Therapists Association) a Private Membership Association representing students, practitioners, teachers and schools of Thai Yoga, Thai Massage, Nuad Boran and related. Founded in 1992, ITTA is the oldest organization representing Thai Yoga and Thai Massage outside of Thailand. We also provide public services such as information and an online practitioner database and locator. For information on ITTA professional membership call or email. Anthony B. James, Board Member: Board of Professional Regulation to Develop and implement Standards of Practice and Competency for Ayurveda and Yoga Therapy in order to determine eligibility for Medical Licensing. Anthony B. James interests include Natural Medicine, Yoga and Yoga Therapy, Native American Spirituality and Native American Medicine, Native American Church. Anthony James is adopted Crow Tribe, Real bird family, Whistling Water Clan, Gary Owen Montanna by Chief Floyd Real bird and Chuck and Ramona Real bird. Anthony James is a Member of the Native American Indigenous Church Tribal Organization (NAIC). Other interests are SomaVeda®, Thailand and Indigenous Traditional Thai Yoga, Thai Massage, Writing, publishing, producing Video's. Anthony James is an Active member of the Sacred Medical Order of the Church of Hope. Anthony James enjoys drumming and making music. SCUBA, trekking and international travel especially to SE Asia.